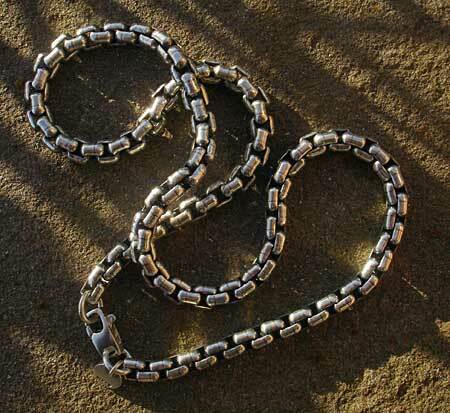 Men's Silver Designer Chain Necklace : LOVE2HAVE in the UK! 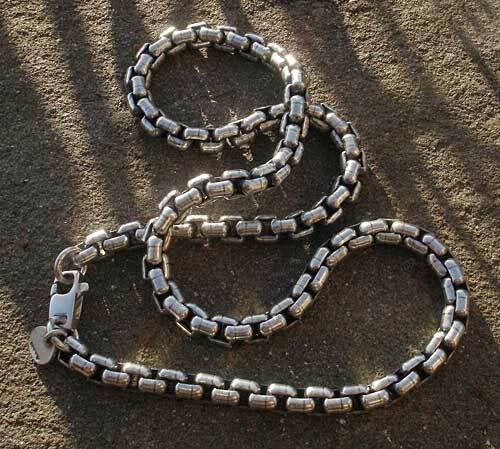 A weighty men's silver designer chain necklace made from 6mm silver Belcher links and the heaviest of the silver Belcher chains we sell. It measures 18 inches as standard, but we can provide any other length also so please do contact us for further details about this. The links are very close fitting that gives the chain a sleek slinky feel. The approximate weight is 80g based on the 18-inch length, and it comes in a polished finish. It is made from solid sterling silver and makes an excellent choice for men looking for something very different with ultra designer styling.